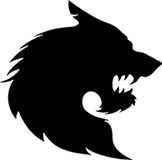 The city of Bristol is rocked by a series of horrific murders, each more gruesome and outrageous than the last, and all in the style of horror films starring Vincent Price. The journalists who wrote about the case begin to die horribly, this time in the style of Hammer horror movies. A Hollywood film company has arrived in Bristol to make a movie about the murders. Nicolas Cage is planned to star, and the screenplay bears little resemblance to what actually happened. film-makers just what a terrible mistake they have made. 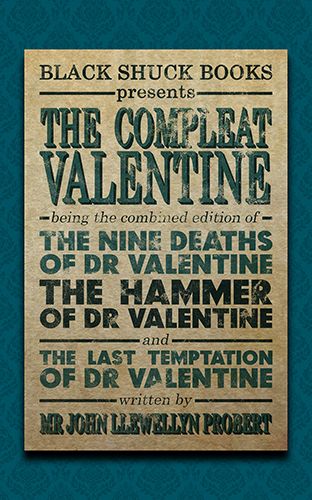 This complete edition contains all three novellas – THE NINE DEATHS OF DR VALENTINE, THE HAMMER OF DR VALENTINE and THE LAST TEMPTATION OF DR VALENTINE. John Llewellyn Probert has been watching British-made horror films since he was ten years old, when he saw Dr Phibes Rises Again (1972) and Witchfinder General (1968) on a Vincent Price season on ATV. He was probably a bit too young for that second film, but the first influenced him to an extent that is still being felt by readers to this day, and especially readers of a book like this.